Back on June 1, 2017 I posted a blog looking at The Lost WWE Iron Man Matches. On that post I presented all the Iron Man Matches that took place before the famous WrestleMania XXII Iron Man match between Bret Hart and Shawn Michaels. 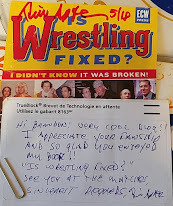 A comment was left on that post recently by Roy Lucier where he mentioned one happening in 1987 in Montreal. Looking into this I discovered several Iron Man or Marathon matches that took place not in 1987 but in 1989 and they all featured The Rockers vs. The Rougeau Brothers. I've described the matches the best I could based on information I found on them. Most of it from The History of WWE. 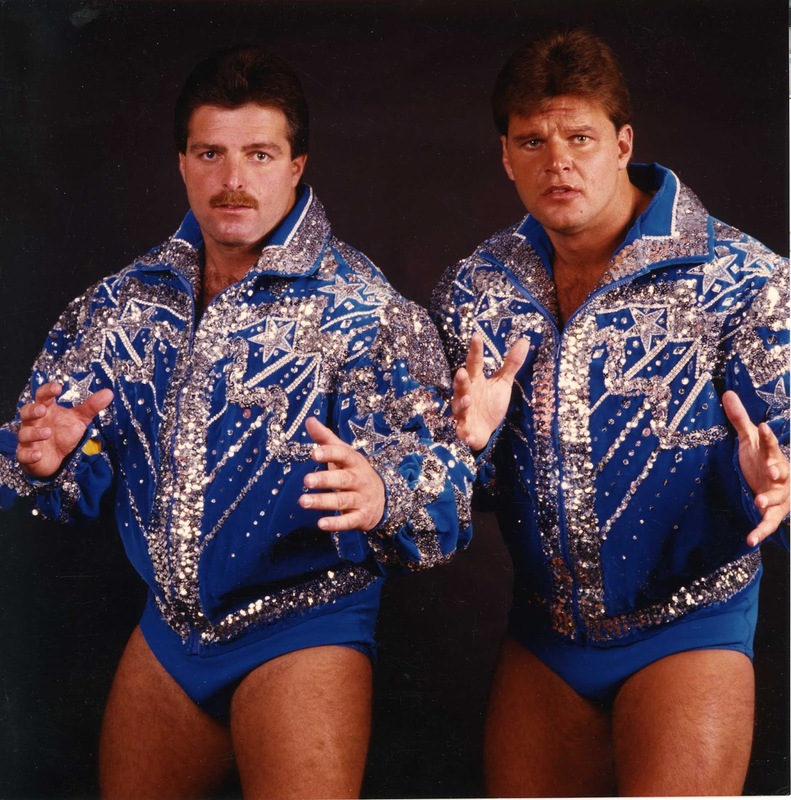 The Rougeau's won falls 1& 2, the Rockers won falls 3 & 4. 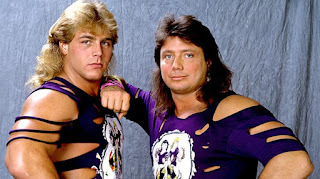 The Rockers won the 5th and deciding fall when Michaels reversed an inside cradle by Raymond putting Jannetty on top after Jacques has done the same moments earlier. October 8, 1989 House Show Washington D.C.